Unless you’ve abstained from basically all forms of media over the last week or so then you probably already know that San Diego Comic Con (SDCC) has just kicked off and the movie trailers, teasers, and collectables are flowing like finely aged energy drinks. If you’ve a reader of this site for a while then you also likely know that I love it when the automotive industry crosses over with other things that I love like video games, movies, and other so called “nerd culture” elements. So, when I heard that there was an “Iron Man” edition vehicle revealed for Comic-Con I was understandably hyped. However that hype was soon replaced by shock when I learned that the said “Iron Man Edition” car was from Hyundai! Say whhhaaaat? If you’re not immediately understanding why such a thing would be so surprising to me, allow me to explain. Since the very first Iron Man movie, Marvel Studios has had an ongoing marketing partnership with Audi basically making the brand the official car of Tony Stark. That’s why in nearly every Marvel Cinematic Universe (MCU) film featuring Iron Man he’s almost always driving an R8 or another type of Audi vehicle. The only exception being the first Avengers movie as that specific film had Acura as its official vehicle partner which is why you see Tony Star driving that one-off NSX convertible at the end. Because of that I figured if there was ever going to be an “Iron Man Edition” car it would be from Audi. However, it looks like at some point Hyundai swooped in and may just be the new official car of Stark Industries. The vehicle is based on the recently released Hyundai “Kona” crossover SUV. The Kona fits in the entry-level to mid-range crossover SUV market segment competing with cars like the Nissan Kicks, Honda HR-V, and Toyota CH-R. The Kona has two engine options: a naturally asperated 2.0 liter 4 cylinder or a slightly smaller but turbocharged 1.6 liter mill. The NA engines make 147hp while the turbo’d units push that to 175. On the low end the Kona starts at just $19,500 while the top of the line “Ultimate” trim starts at $27,400. Which actually isn’t a bad price considering what you get for the money. Though the real question is, what do they do to the Kona to make it into a car worthy of Tony Stark’s approval? The answer: a lot of cool cosmetic stuff. While the theme doesn’t go as far as I’d like to have seen it go, I will commend Hyundai on doing a little more than just a badge job. The first thing you’ll notice about the Iron Man Edition Kona is its unique paint scheme. To offset the matte grey body paint, the roof, part of the side sills, and various other external features have been painted the same red as Iron Man’s armor. Additionally, the daytime running lights are tinted to an “Electric Blue” color to match the same glow that comes from the eyes of Iron Man’s helmet. There are also Iron Man helmet badges on the fenders, and “Stark Industries” decals on either side of the vehicle on the rear doors. Though in my opinion, one of the coolest exterior elements of the car are the custom 18 inch alloy Iron Man themed wheels. The spoke design is inspired by Iron Man’s armor and you have the Iron Man helmet right there on the center caps. 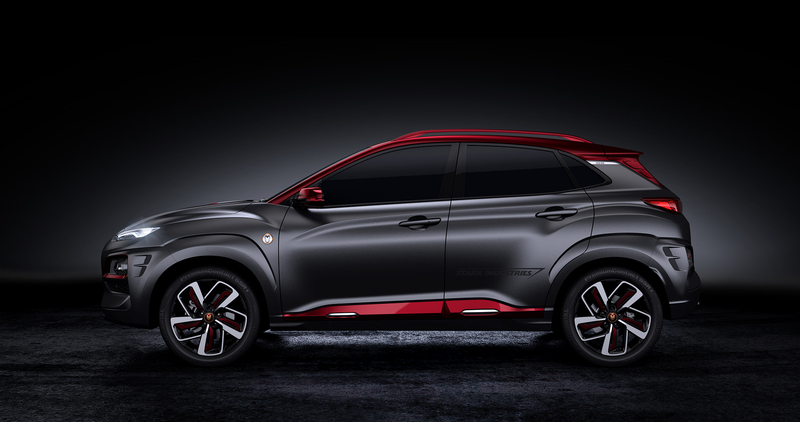 Inside the theme continues with a grey and red color scheme to match the exterior and additional Iron Man elements like an Iron Man gear shift knob and Tony Stark signature badging. However, the real winners of the interior are the custom heads up display with an interface designed to match the HUD UI inside Iron Man’s helmet and the navigation system which also features a “Stark Industries inspired” UI as well. Even the “smart key” has the Iron Man helmet on it! Currently, Hyundai hasn’t revealed what the MSRP of the Iron Man Edition Kona will be but as I mentioned before the top of the line “Ultimate” trim of the crossover starts at $27,400 so I’m thinking the Iron Man Edition will be north of that. 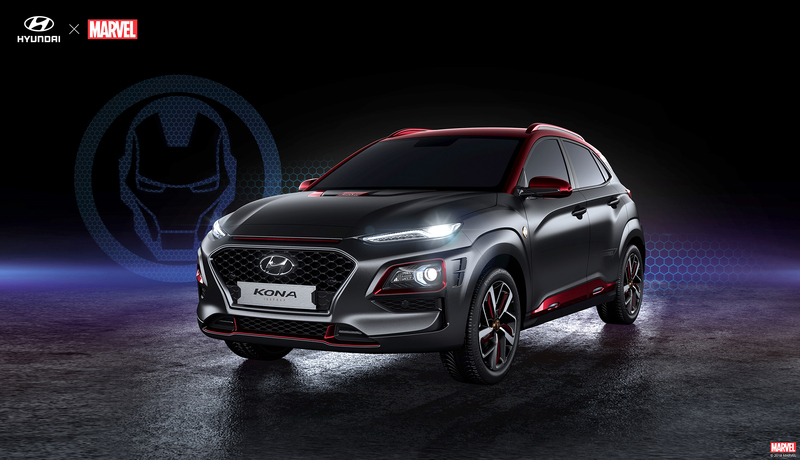 One thing Hyundai did reveal is that the Iron Man Edition Kona will go into production starting December of this year for a release currently stated as “first quarter 2019”. Which is basically some time between January and March 2019. That’s just a few months before Avengers 4 is slated to hit theaters. Will I be driving one of these to the premiere? Probably not. Though that’s not to say I wouldn’t buy one of these; I just don’t think I’ll be invited to the red carpet! All together, while I think it would have been really cool if Audi made a “Stark Industries Edition” R8, I’m actually kind of digging this Hyundai crossover. And If I’m being honest, this isn’t really that shocking. After all, this isn’t the first time Hyundai has gotten involved with the MCU. The newest Hyundai Veloster makes a significant cameo in Ant-Man and The Wasp which is in theatres right now. 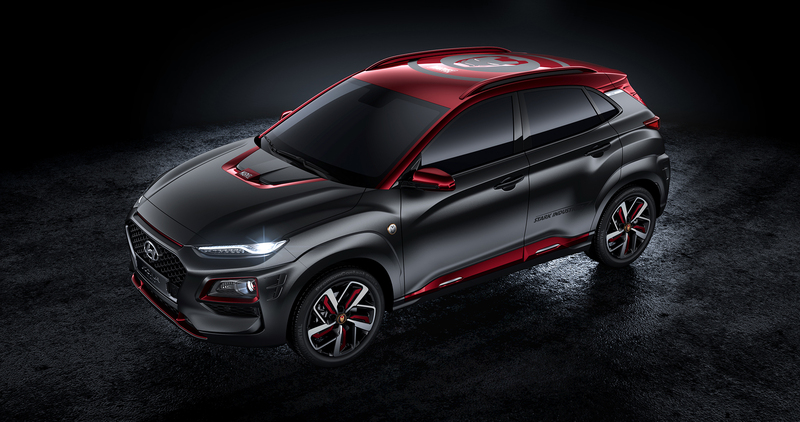 Anyway, what do you think of the Iron Man Edition Hyundai Kona? Are you into it or not? Let me know in the comments below or tweet me your opinions at @MotorworldHype. For better look at the Iron Man Edition Kona just click any of the thumbnails in this post. You can also check out the reveal video and the official press release below. 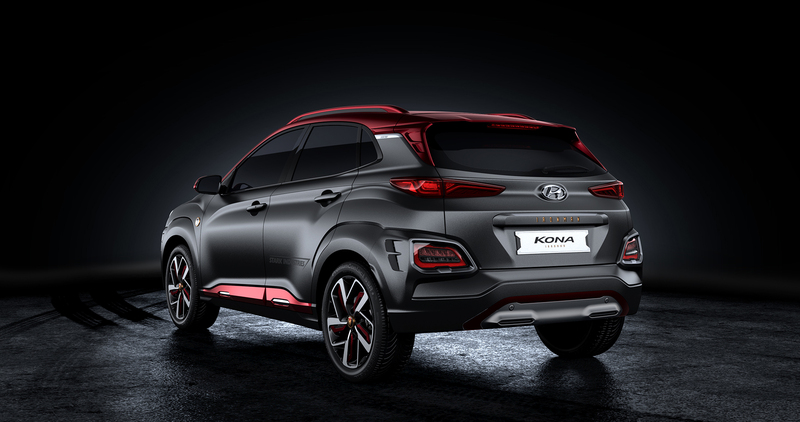 The Kona Iron Man Edition is the latest project to emerge from the ongoing collaboration between Marvel and Hyundai. This summer, the all-new 2019 Veloster Turbo appears in Marvel Studios’ AntMan and The Wasp. That integration was accompanied by a fully integrated marketing campaign that included new commercials and an interactive sweepstakes offering fans a chance to attend a prerelease screening of the film.